I will never forget the first client who entrusted me with investing her money, and the day that money was delivered into my firm for me to manage. I will never forget it, because that was the day that I stopped sleeping. Why did I stop sleeping? I felt the weight of hers and other client’s hopes and dreams falling on my investing shoulders, and it felt like the weight of the world. After all, I spent days and weeks getting to know this person, to understand what she wanted from life, to find out about her kids, her job, her retirement goals. And now the decisions that I was making for her could mean that Billy couldn’t go to the college he wanted or Suzie wouldn’t have the wedding of her dreams. Or, worse, Mrs. Smith would now have to work until she was 80 instead of 65 to achieve her goal of retiring to Florida. I may be exaggerating a little, but I would want a financial advisor who lost sleep at night over my money rather than the alternative. And having worked in one of the largest financial advisory firms in the country, I can assure you that most advisors don’t lose a minute of sleep over your portfolio. In fact, many advisors I worked with told me that I was “too emotional” when I would share my fears. I didn’t understand how they couldn’t get emotional about money? In order to better control my emotions, and get some sleep as a financial advisor, my best solution was in my very own investing strategy. I invested my client’s money the same way I invested my own money to varying degrees of asset allocation. And unfortunately that practice is not the norm. Advisors all have what I call their “secret sauce” or their investment portfolio that they utilize for clients. Most advisors guard their secret sauce as much as Bush’s guards the secret to their baked beans. In fact, when I started out and was in the process of developing my own sauce, it was very difficult for me to get any sound advice from the senior advisors. This always surprised me because I wondered why they wouldn’t want to share the secret of their success with others? After some finagling and threats by my manager, I became privy to the secret sauces of many advisors and what shocked me the most was how different their client’s sauce was compared to their own. How could you invest one way and do something different with client money? Unfortunately, the basic answer to that question is that you make more money selling some investments over others, and money is a highly motivating factor in investing decisions. However, there are certainly other reasonable responses that are not quite as nefarious as this one. The only way you can really know, though, is to ask. How much money do you have under management? How frequently should I expect to hear from you? And let me let you in on a little secret, most of these questions were created by financial advisory firms and they specifically train their advisors on how to best answer these questions. In fact, we had weekly role-play dialogues where we were trained in the best responses to these questions. So if your advisor has a great answer to your question, it is because he or she has been trained to answer it. If they don’t have money, run away. I don’t think an advisor has to have millions of dollars but just like I wouldn’t hire a pediatrician who doesn’t have kids, I wouldn’t hire an advisor who doesn’t have any money. Even a little in a 401k or IRA is better than nothing. If they are sitting on the sidelines with cash, why are they advising you to jump in when they are sitting out? Hedge fund and private equity investors require that their fund managers have money invested in the fund before they commit to investing in it. If this is a good rule of thumb for people with millions of dollars to invest, why shouldn’t it be a good rule for people with thousands of dollars to invest? Advisors will tell you that no one should care more about your money than you. These are the advisors you want to invest alongside with because he or she clearly cares for their portfolio the most. Your relationship with your financial advisor is similar to that of your spouse, and if you can’t trust them and feel comfortable knowing you are on the same team together, then why get married to begin with? Keep this in mind the next time you sit down with an advisor. It may feel a bit awkward asking at first, but remember – it’s your money. And nobody cares about it more than you. Have any of you ever asked to see your advisor’s investments before? Shannon McLay is a financial planner who left a “traditional” financial services firm to start her own company, NextGen Financial, to help clients in their 20s and 30s get financially fit. Through her blog, Financially Blonde, her book and her partnership with Money Saving Pro, Shannon is committed to making financial fitness fun, easy and accessible for others. A colleague of mine for years was trying to get me to meet his American Express financial advisor. He raved about her services, finally one day I asked to see what type of investments she got him into. If they were good investments I would go and see her. Half of his funds had sales loads of 5.75, he had a college fund invested in something called universal variable or something like that. in 14 years he averaged 1.5 percent ,while they earned more in fees. He also had proprietary reits that yielded 7 percent that wasn’t liquid at all. He couldn’t sell out of it as there is an early surrender fee. After I looked over his investments he closed out that college fund and took 80 percent of his money over to vanguard. I hate to break it to your friend Charles but all of those investments made his advisor A LOT of money. And there is nothing wrong with advisors making money as long as their clients are making money as well. Exactly! I don’t understand why more people don’t try to educate themselves when it comes to investing. It’s not hard to do it yourself and just invest in the broader market while paying minimal fees. Great advice, especially the spiffy comebacks to the answers to those questions. I think the worst thing is if they are buying investments for you because they maximize the compensation they receive. Snake oil salesmen! Deb, I WISH that I did not see the selling of investments to make money as much as I did. It’s a sad reality of the industry. Like most things, you just have to make sure you are an advocate for your own money. Very interesting! This is a great way to tell how committed your financial advisor is to you – I’ll definitely keep this in mind! Yup, it’s a very easy way to determine how committed and honest your financial advisor is. Ha! I like your analogy Chris! I think there are plenty of advisers who try to do the right thing as much as possible, it just doesn’t always work out like that and the sad thing is that the clients lose in the end. Great tips. I’m in information collection mode for investing as we will be jumping back in over the next few months. If a planner isn’t investing their own money in the same products they are trying to sell to you,a good idea to stay away. Yup! It’s amazing how easy it is for some to sell you something that they would never buy personally. Monetary incentives have a crazy way of forcing people to make stupid decisions. I am an investment advisor, and I’d happily show my clients my portfolio, but I’d have to do a lot of explaining, too! For example, I’m invested in some individual stocks, but that’s because they were purchased for me by my grandmother in the ’80’s and are now so highly appreciated that it would be ludicrous to sell them due to the capital gains taxes. I don’t recommend my clients invest in individual stocks, but I am invested in them and count them within their respective buckets of my asset allocation. That said, I’ve never actively chosen an individual stock for myself! Good for you Leah!! And yes, there could always be residual holdings in an account, but as long as the core account is similar then I think that is fine. I too hate buying individual stocks and only did it on a few occasions where the clients asked me specifically to buy individual stocks. LOVE this, Shannon!!! I’ve always felt that it was “none of my business” to know what my potential investor was investing in, even though I really wanted that verification that he/she took their own advice. Thank you for showing me that it’s okay, and that I should – be able to ask and see what they’re holding. You can stop feeling like that Laurie! It’s absolutely your business and you have a right to ask as many questions as you want. There is no reason why an advisor can get all your dirty secrets, but won’t share in return. Thanks for this Shannon! I think I’m a few years off from needing an advisor of my own, but I do worry about a few family members. I suspect they are working with sales driven advisors while focusing on the NEXT HOT STOCK! and don’t know the trouble they are in. Next time it comes up with them, I’ll poke around to see if an intervention is needed now, or if I’ll picking up the pieces later. I’ve said something like that at least a dozen times over the years and never had one send me their records. I’ve heard all the excuses in the book. I get that an empty-nester’s investment mix might not be approrpriate for a 35-year-old married guy w/ two young kids. But there’s value to seeing their choices for appropriateness for them AND to see if they’re putting their proverbial money where their mouth is when they give advice that could apply to them as much as you. Well, as most of us know, Warren Buffett is a smart man, but his smarts come from primarily common sense. And it does make sense to get an idea of what your advisor’s investment mindset looks like personally before you invest with them. I love that you have asked and it is very telling that no one has provided you the details. Oh, man if you wanna get me fired up – this is the subject that’ll set me off! I worked in a financial advising firm in college. I thought I would become one. Holy cow though. It’s all about closing sales. Pushing a certain product for a certain week (EJ used to do that, not sure if they still do). Disgusting. The advice in this article is similar to that in ‘The Millionaire Next Door’. You need to know what your adviser invests in. Why should they keep it a secret, anyway? Taking investment advice from someone who has a crap portfolio themselves is like asking a fat person for weight loss advice. DOES NOT COMPUTE. Yup, it gets me fired up too! I hated seeing the focus on selling products strictly for the profits they brought to the firm and the advisors pockets. I thought we were past those days, but they are still here and it still happens all the time. I interned at ML in college who was very successful, he had a portfolio he constructed and recommended, he printed off his holdings and were the same just with different amounts/percentages like you mentioned. Yes, I knew a handful of advisors who did the same thing, and I not only respected them, but they were also wildly successful with their clients. Great post for me! My husband and I have been focused and getting out of debt for more than two years now, but within a year, we’ll start some significant investing. I know absolutely nothing about investments and even less about financial advisers. I will try your question out: “How do you invest YOUR money? Can I see your portfolio?” Love it! Investing definitely seems more complicated than it really is. With a little research, you should really feel comfortable doing it yourself. They are so many great ETFs or mutual funds that pretty much take all of the guesswork out of it for you. Such great advice. If you can’t drink your own kool aid, why should I? The conversation probably should have been over long before this questions – but the statement is almost certainly true. The idea that there’s some one-size-fits-all approach to investing is a HUGE part of what’s wrong with the industry. Commissioned advisors do this all the time. They have this “secret sauce” (like you said) that they pitch to every client and put them all in the same asset allocation with little or no concern for their individual goals, time horizons, and risk tolerance. Investing is the most insignificant part of a good financial plan anyway. If the advisor is leading with these products, run away as fast as you can! I completely agree James, investing is probably the most insignificant part of a financial plan, and you should look for an advisor who will do more than just that for you. That being said, I also want an advisor with an honest approach to investing. I don’t disagree with you – but the idea that they’re not honest because they have different investing goals is a little out there don’t you think? Oh yes, I agree with that comment, but different investing goals is not usually what you will see when you compare their portfolio to yours. There is usually a different investment solution where they may own individual bonds, but they will want to sell you a bond mutual fund. Or they own an individual stock, but they want to sell you a structured note. The difference in the portfolios is usually the fact that the advisor has lower ongoing total cost investments in their portfolio where you will own something that has ongoing fees involved with it. Seriously Mel, even when you have the assets, I think you would do just fine managing them yourself. You are doing a great job now so it would only be a change in the amount of commas. :-) But if you really want to work with someone, I would love to help you! Read a few books about investing. Determine what your asset allocation will look like. 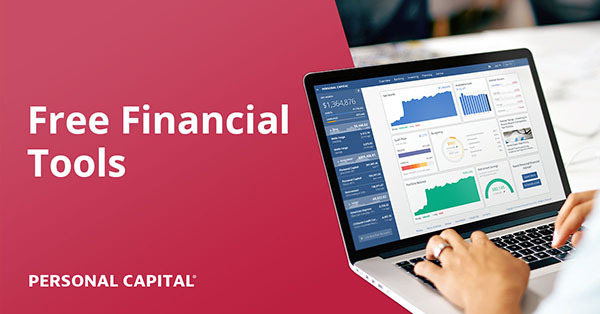 Open up a Vanguard account and manage your own money and save on all the fees. It really is that simple. You are exactly right Iron Mike!! Amen! And also read early retirement blogs – those guys are ALLL about Vanguard! Finally got me to pull the trigger myself. Isn’t it funny that it seems like such a simple question, yet it is probably the last one most people think to ask. Love the post, Shannon! I spent a year and a half in financial planning and saw that garbage all over the place when looking at what prospective clients already had in place. Moral of the story: don’t be a dummy. If the other person is making money off of your money, automatically assume there is an underlying motivation. Even if there isn’t, and sometimes there is, assume it until they can prove otherwise. It definitely stinks when you watch this sort of behavior take place. The worst thing is when it happens and yet clients think their advisors are looking out for them. If I had an adviser I would definitely use these tips Shannon! Too many people are afraid to challenge/question people they hire to manage their money. I wouldn’t because that’s my money on the line. I can’t even tell you how many people I have met Kassandra, who are afraid to ask their advisor questions. It’s your money, you can ask whatever the heck you want! That’s a great question! Certainly not something I would have considered asking. Thank you for sharing this insight! Before I became an advisor, I would NEVER think to ask this question. Now I realize just how important it is. I think I’m the best person to manage my money! But that’s just me. Probably because I think I’m so smart LOL. Seriously though, I love managing our money and I read so much, I don’t see how another person would do a better job than me. I love our money. Ha! And you are right, the best person to handle your money is you. No one cares more about it and will give it the consideration it deserves. I totally agree. That’s why I chose not to go with an investor. I asked him how he would invest a large chunk of change, gave him 1 month and he started doing an allocation on a scrap piece of paper when I went back to see him and he was vague. Oh, and by the way, he told me he was moving from a fixed fee to a percentage of my portfolio (tripling his fee). I walked away in a hurry. If I seek an advisor again in the future, I will definitely ask the question you suggest. It’s gold. Like any relationship, you need trust and open communication and I would definitely walk away from the scrap paper advisor as well. While I think this can definitely be a good question to ask, I would be careful about putting too much emphasis on it. For example, I know a lot of whole life insurance salesmen (holding themselves out as “financial advisors”) who use the fact that they own whole life insurance themselves as a sales tactic. If they’re not a good advisor to begin with, what they personally invest in isn’t a very good indicator of what you should be doing. Agreed Matt, but if they ONLY owned whole life insurance, then that would be suspect as well, and people should be wary of any financial advisor who only owns one type of investment. The importance of the question is not to ascertain their investing know-how, because that is difficult for a number of people, but it is to compare how they invest vs. how they are suggesting that you invest. Like I said, I do agree that this is a good question to ask and I agree that your financial advisor should both be willing to answer and should have a personal investment strategy that aligns with the advice they’re giving you. But I think you highlight exactly the issue I’m talking about in your last sentence. You say that it’s difficult to ascertain their investing know-how, and I agree. And my point is that even if you DO ask this question and they DO invest in the same way they’re recommending (good news! ), that DOESN’T mean that they have investing know-how. It might just mean that they’re misinformed and therefore take the same bad advice they’re giving. That could be true whether they owned only one type of investment or many. All of this is to say, go ahead and ask the question. Hopefully you get the right kind of response and in any case it will help you make a more informed decision. But don’t make the mistake of thinking that the right response to this question automatically means that it’s good advice. I pick up what you’re putting down, brotha :) Definitely something to consider when going though this process. That gif is hilarious and the question will surely make the advisor cringe. I talked to an advisor once when I was 19, to invest in stocks, and he guided me to invest in a mutual fund instead. Probably made a bigger commision on it. Oh well can’t change the past. Good Advice. Ha! I thought the gif was hilarious too. I bet most advisors look like this in their minds when you ask this question. As far as your individual situation, depending on the firm and how long you owned the mutual fund, you may not have been as worse off as you think, but in general, over time, a mutual fund will cost you more than individual stocks. Next post: Miss Me? Vote For Me!